Contemporary dance uses many techniques and methods found in ballet, but also employs fall and recovery, floor work, improvisation and partner work. In contemporary we will use basic combinations with a focus on technique, breathing, style and performance, but incorporate play with finding and losing our centre of balance, move in and out of the floor. It is a great opportunity for students to expand their movement repertoire. WBS marine blue t-shirt (available to purchase at classes) with students own below the knee leggings and socks/bare feet (as required by the teacher). The AJDA syllabus is structured on a progressional basis that starts at age five years and progresses through 14 levels to Advanced and Solo Seal. The work fully trains the student in all aspects of basic ballet technique and the dynamics required to encourage performance, style, and enjoyment of dance. Jazz is a great complementary dance style for ballet and contemporary students, as well as being a fun alternative dance style with solid technical foundations. Black singlet top leotard and bike pants. Black jazz shoes with low socks, hair should be in a high ponytail or out of the face with a headband if short. A 1/2 hour introduction to dancing for two to three year olds. Based around a nursery rhyme or similar. Parental participation is welcome! The children can wear any thing they would like to and are able to move freely in. A 1/2 hour introduction of natural motor movements using varied types of music, imagination, expression and props in a relaxed and fun atmosphere. Parents/Caregivers are welcome to stay for each class. The emphasis is on participation and fun! The children may wear anything they would like to and are able to move freely in. Ballet shoes are a bonus but are not compulsory. A 1/2 hour class which uses imagination, props and interesting music, while starting to think about line, shapes, rhythms, patterns and use of space. Parents/Caregivers are welcome to stay and observe and children may wear anything comfortable for moving in. This class prepares the building blocks children need for the next year level (RAD Pre Primary) in a fun, friendly atmosphere. A 3/4 hour class. Students begin wearing a ballet uniform and participate in a presentation class with their teacher later in the year as an introduction to ballet exams. They experience imaginative and narrative movement sequences and begin to study some basic elements of classical ballet. Boys – Well fitted white t-shirt and black ballet shorts (loose fitting style). White socks and white ballet shoes. Girls – Lavender leotard and chiffon skirt. Pink ballet socks and pink ballet shoes with elastic. A 1 hour class to prepare students for their first ballet exam. They learn a simple, imaginative and narrative ballet dance to perform in pairs which children really enjoy. 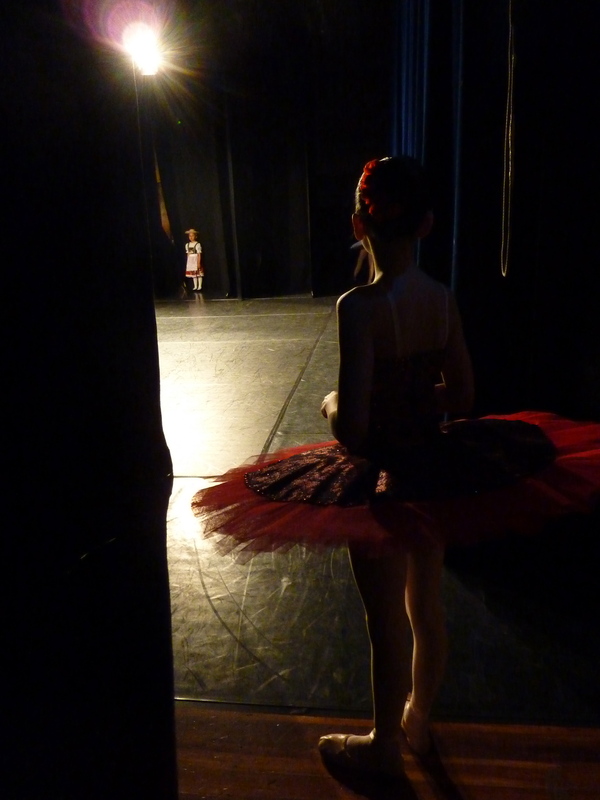 The RAD syllabus promotes musicality, the early foundations of classical ballet and the opportunity to use imagination and expression in a performance setting. 1 hour classes. The students begin character dance which complements their classical work, as well as learning a ballet dance as part of their exam which is performed solo for the first time and we introduce basic Movitae dance pilates exercises. Boys – Well fitted white t-shirt and black ballet shorts (loose fitting style). White socks, white ballet shoes and character shoes. Girls – WBS white cap sleeved leotard and waist elastic, pink ballet socks and pink ballet shoes with elastic. WBS character skirt and character shoes. 1 hour classes. Further develops the skills learnt in Grade 1. Students begin barre work and are well on the way to learning some of the fundamental ballet steps, enhanced by Movitae dance pilates for young dancers. Girls – WBS light blue leotard and waist elastic, pink ballet socks and pink ballet shoes with elastic. WBS character skirt and character shoes. 1 hour classes. Grade 3 barre, center and dances are full of interest, varied and are a step up for students with more complex exercises and technical challenges. Continuing to develop Movitae Dance pilates exercises. Boys – Well fitted white t-shirt and black ballet shorts (loose fitting style).White socks, white ballet shoes and character shoes. Girls – WBS light royal blue leotard and waist elastic, ballet tights, pink ballet flats with elastic (ribbons just prior to exams), WBS character skirt and character shoes. 1 hour classes. Students broaden their vocabulary with exercises that contain multiple components and are studied in detail before putting together. The students knowledge expands within the Moviate dance pilates programme. Boys – White short-sleeved leotard, navy blue stirrup tights. White socks, white ballet shoes and character shoes. Girls – WBS burgundy leotard and waist elastic, ballet tights, pink ballet flats with ribbons (compulsory for exam). Character skirt and character shoes. 1 hour classes. Students at this level are refining and expanding their classical technique and Movitae vocabulary, their musical interpretation and performance quality. Girls – WBS navy blue leotard and waist elastic, ballet tights, pink ballet flats with ribbons (compulsory for exam). Character skirt and character shoes. WBS students may be invited to have extra coaching/private lessons from Primary level upwards. These are for dedicated and promising students who wish to enhance their performance experience and confidence by participating and representing WBS in local ballet competitions.